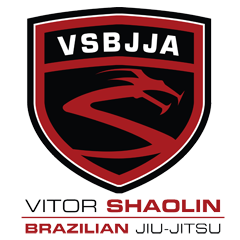 Check VSBJJA out in NYC's Top Martial Arts schools! I HAD MY BACK against the wall. While we often find ourselves in this metaphorical situation, I was, literally, pinned up against a New York City wall by a common street thief on Halloween night, two years ago. My heart leaped into my throat, my hands grabbed the mugger’s forearms, and my brain took a momentary vacation. We stood like that, my hands locked around his arms by a Wachovia wall, for what seemed like hours until he finally managed to grab my wallet from my pocket. The corner of Broadway & 10th Street has never been quite the same. The details are hazy, but one thing is clear: I was fortunate that among the countless people who simply walked by, one stopped and heeded my call for “help!” Out of fear of my helper angel, the thief retreated, and I walked away with not only my health but my wallet, phone, and all my belongings. Yes, very fortunate. But despite my good luck, the weeks that followed were filled with intense fear of shadows, rustling leaves, and pretty much anything that moved or made a sound. This was, of course, highly inconvenient for an NYU student who spent all of his time in New York. After about two months, I made a choice to fight the daily fear. I enrolled for a Krav Maga course at the 14th Street Y. To my surprise, the TV story of “get mugged,” “take self-defense course,” and “regain confidence and control” was one Hollywood got right. And so martial arts ceased to be a vague mixture of Jackie Chan movies and roundhouse kicks and became an irreplaceable force in my life. In a field as broad as this one, you will, of course, find many more varieties of martial arts as well as countless other studios close to home. But more important than the “what” and the “where” is making the commitment to become better, stronger, and more confident. Among the many reasons to pursue a martial art are to become stronger in self-defense, to compete in a sport, or to simply have a spicier workout than the treadmill. Most studios will allow you to take an introductory class for free, allowing you to check out the instructors, the studio, and the martial art to see if it suits your style. So whatever the reason or martial art, I dare you to try…Because decisions are best made with freedom – that is, before your back is against the wall.